Factory Direct Sales Pure Natural Ginkgo Biloba Extract with Ginkgolides Original Manufacture Leaf of 24%/6%&lt1ppm P.E. China Big Factory Good Price Nature's Sunshine Ginkgo Biloba Extract Usp Natural Leaf of P.E. Tags: Nature's Sunshine Ginkgo Biloba Extract Usp | Natural Leaf Extract Of Ginkgo Biloba | Natural Ginkgo Biloba Leaf P.e. ), Ginkgo Biloba Extract CP2005 (Ginkgolic acid 10ppm Max. ), Ginkgo Biloba Extract CP2005 (Ginkgolic acid 1ppm Max. ),Ginkgo Biloba Extract CP2010 (ginkgolic acid 5ppm Max. Even we can supply you preshipment batch sample approval. 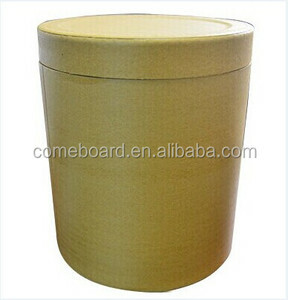 Our products sold popular to European, american, russia and asian market. The most important is pls book order directly in Alibaba order. 100% Natural Ginkgo Biloba Extract, Ginkgo Biloba Leaf Extract, Gingko Biloba L.
Naturalin is founded in 2005. We develop natural ingredients for food & beverage, nutrition, personal care, hygiene, pet feed and agriculture industries, with focus on all the stages of the manufacturing process from raw materials to the final ingredients and its application solutions in industries. We believe the best ingredients can only come from the finest raw materials and manufacturing process controlling. Functions of Ginkgo biloba 1.Relieve symptomatic of organic brain dysfunction 2.Treat intermittent claudication 3.Treat Vertigo (vascular origin) 4.Treat Tinnitus (vascular origin) 5.Improve Blood Flow---- especially to capillaries in the brain & other extreme body. 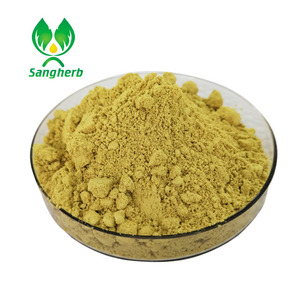 Product name: Ginkgo biloba leaf extract C/O: China Latin name: Ginkgo biloba L. (2) Applied in health product field, it can effectively reduce breast pain and emotional instability. (3) Functional foods areas: protecting vascular endothelial tissue, regulating blood lipids. 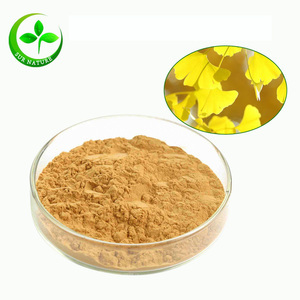 2.Ginkgo biloba extract can be used for anti-cancer and preventing cancer. 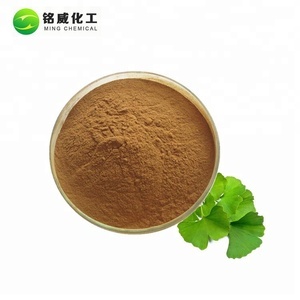 3.Ginkgo biloba extract can promot cerebral blood circulation and cellular metabolism. 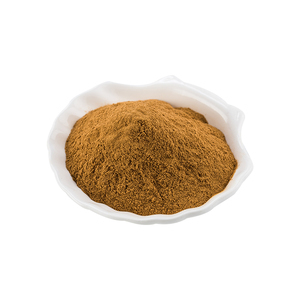 4.Ginkgo biloba extract has the function of lowering blood pressure and high blood fat. 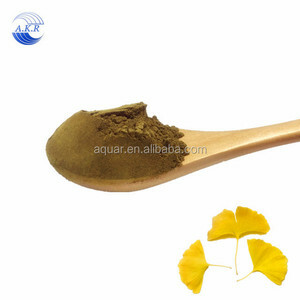 Alibaba.com offers 4,328 extract of ginkgo biloba leaves products. About 45% of these are herbal extract, 1% are fruit extract. 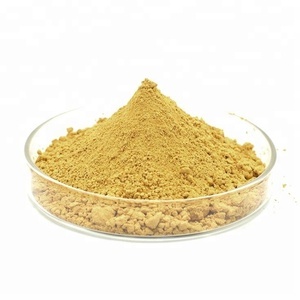 A wide variety of extract of ginkgo biloba leaves options are available to you, such as free samples, paid samples. 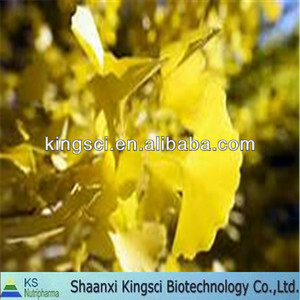 There are 4,217 extract of ginkgo biloba leaves suppliers, mainly located in Asia. 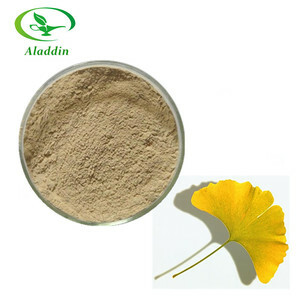 The top supplying countries are China (Mainland), Philippines, and India, which supply 98%, 1%, and 1% of extract of ginkgo biloba leaves respectively. Extract of ginkgo biloba leaves products are most popular in North America, Western Europe, and Northern Europe. You can ensure product safety by selecting from certified suppliers, including 845 with ISO9001, 816 with Other, and 321 with GMP certification.